The Ultimate Fighting Championship will be showcasing their talent at the Pepsi Center in Denver, Colorado on Saturday, September 24th. This is the first time since 1995 that the UFC will be in Colorado, yet Denver was the home of the first ever Ultimate Fighting Championship event long before Dana White became president. UFC 135 will include a five round Light Heavyweight Championship bout as the headliner. There will also be some fan favorites fighting on the main card. Let’s take a look at what’s in store at UFC 135. Jon Jones became the youngest UFC champion in history when he won the UFC Light Heavyweight Championship at 23 years old. His only loss in his professional MMA career was a disqualification. 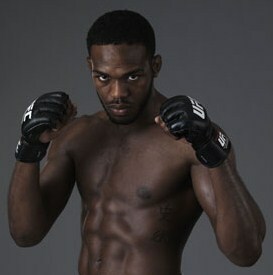 Jones will be defending his Light Heavyweight title for the first time. Jones is a national junior college wrestling champion, and is also well-rounded in Jiu-Jitsu and Muay Thai. He has only been training in MMA since 2007, but is skilled way beyond his training. Jones has a tall frame at 6’4″, but likes to take his opponents down. Once on top, he has vicious elbows he is not afraid to throw, and has accumulated 8 of his 13 wins by knockout. Only two of his fights have gone to a decision. He is very good at avoiding strikes himself, and has never been taken down. Perhaps it has to do with his long frame and his 84.5″ reach, which is the longest ever in the UFC. Expect Jones to try and get his opponent to the mat and throw down elbows until he gets another TKO. Quinton Jackson was an all-state wrestler in high school, and also wrestled for a while at the junior college level. Jackson fought in the Pride Fighting Championship(PFC) league in Japan until he joined the UFC in 2007. In only his second UFC fight, he beat Chuck Liddell in May of ’07 for the UFC Light Heavyweight title. Later that year, he defeated Pride Middleweight Champion Dan Henderson to unify the two organizations titles. In his next fight, Jackson lost his title and has been looking for another shot at the title ever since. Three years later, after defeating Matt Hamill and winning four of his last five fights, Jackson is finally getting his opportunity. Jackson has accused Jon Jones of placing a mole in his camp, and even faked an injury to see how it would play out. Jones denies the accusations. Jackson has great physical strength, and has knockout power in both hands. Fourteen of his wins have come by knockout, with eleven by decision. He uses his wrestling background to defend takedowns, and likes to counter his opponents kicks with punches. He mainly likes to stand and throw punches, but also has brutal ground-and-pound skills. He is quick for his size, yet his striking defense could be better. His takedown defense is pretty good, but it will be challenged in this fight. Look for Jackson to try and take his opponent out early by getting inside and throwing an uppercut. He will grapple in close, then stay far away from the long arms and legs of Jones when they are standing and boxing. At one point, Matt Hughes was considered one of the best MMA fighters ever, and is a former two-time UFC Welterweight Champion. 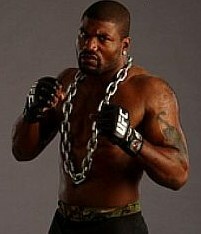 Hughes holds several UFC records. One for defending his title 7 times and another for having the most wins in the UFC Octagon. He was a two-time state wrestling champ in high school, and a NCAA Division I All-American wrestler at Eastern Illinois University. He has already been selected into the UFC Hall of Fame. Hughes is 4-4 in his last 8 fights. He has had win streaks of 13 and 18 in a row in the past, but at 37, he doesn’t fight as often, and has other priorities such as his farm and his family. In 54 fights, Hughes has never lost a decision. Most of his wins have come by way of submission. He also has some power, with 15 wins coming by knockout. Hughes has great strength and excellent wrestling and grappling skills. His weakness has always been his defense. Although he is an excellent wrestler, Hughes is bad at defending takedowns, and is just okay defending against strikes. Expect Hughes to stay inside against his opponent and try to get him to the ground for either a submission, or ground and pound him into a TKO. Hughes’ UFC contract expires after his fight with Koscheck, and he may be announcing his retirement whether he wins or loses. Josh Koscheck is fighting for the first time since fighting for the UFC Welterweight Championship against Georges St Pierre over 9 months ago. He suffered a broken orbital bone in that fight and was unable to compete until now. 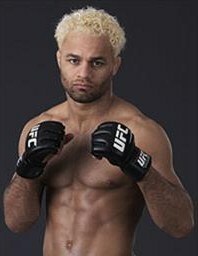 Koscheck was one of the cast members of the original reality television show, The Ultimate Fighter. He has been known for having a big mouth, and trying to get into his opponent’s head. Koscheck is an excellent wrestler. He was a four-time NCAA Division I All-American, and was the NCAA Division I Champion in his Junior year. Koscheck has also vastly improved his kickboxing technique over the last few years, and has won his last 3 of 4 matches. He is also a brown belt in Brazilian Jiu-Jitsu. Koscheck is not known for his heavy hands. Most of his wins have come by decision, which is interesting because Hughes has never lost a decision. Koscheck has good striking defense, but will be challenged on his takedown defense. Koscheck should be the more aggressive fighter, and will also try to take his opponent down and look for a submission. Koscheck is still very hungry to win a title, and that will be to his advantage in this fight. A relative newcomer to the sport, Travis Browne has already had great success. He began his MMA career in 2009 at the late age of 28, but joined the UFC in 2010 after winning 9 straight fights. He is a boxer, as well as a purple belt in Brazilian Jiu-Jitsu. Browne comes right after his opponents, and 9 of his 11 wins have been by KO/TKO, with 8 of them not getting out of the first round. His fists are no joke, yet he is well-rounded in the ground game as well. He likes the arm triangle, and is more than willing to use his knees. At 6’7″ tall, he will have a 5″ height advantage and a 4″ reach advantage in this fight. 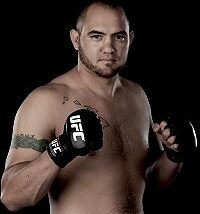 Browne has had success taking his opponents down and using his ground and pound. He has never been taken down, but because so many of his fights have ended early, it is hard to gauge just how good his defense really is. Browne is looking to move up the UFC rankings, so look for him to try and finish this fight early, and with some enthusiasm. Rob Broughton is an English MMA fighter who has fought mainly throughout the United Kingdom honing his skills. This will be his second UFC fight as he is trying to make a name for himself and move up the rankings as well. He is a standup fighter that has great striking efficiency and power. He is also skilled at freestyle wrestling and submission grappling. He is able to take punishment and keep going after his opponent. Seven of his wins have been by knockout and five by submission. Broughton is on a five fight win streak, and won his first UFC fight in October of 2010. This may be one of those fights where two big towers stand toe to toe to see which one falls first. Don’t look for this to end in a three round decision. Nate Diaz won season five of The Ultimate Fighter series and has been a competitive fighter in the UFC ever since. He is still young at only 26, and has been fighting in the UFC since age 22. He is a brown belt in Brazilian Jiu-Jitsu, and is a good boxer and kickboxer. Diaz is not the strongest lightweight around, but is a tough competitor and a submission expert. Nine of his 13 wins have come by submission and six of his losses have been by decision. You don’t really have to respect his knockout power, but he can be an effective boxer. He has good striking defense, but can be taken down by his opponents. He has struggled with the upper echelon of fighters in the lightweight class, and has lost five of his last eight fights. Diaz is a scrapper and always puts up a good fight. Four of his last ten fights have won fight of the night, and two have won submission of the night. Diaz will have a 4″ height advantage and a 6″ reach advantage over his opponent. Look for Diaz to try and submit his opponent throughout this fight. Takanori Gomi is a Japanese MMA fighter, who was previously the Pride Fighting Championship Lightweight Champion. Gomi had one fight in the UFC back in 2003 against BJ Penn, then fought in the Pride Fighting Championship from 2004 to 2007. He ended his Pride career 13-1. In 40 professional MMA fights, Gomi has never been knocked out. He is mainly a standup fighter and freestyle wrestler who started boxing at age 16. He has 14 wins by decision and 12 by knockout, so he does have some power. His boxing experience has made him a great defender against the strike. He is not as good at defending the takedown, but is still decent. His biggest weakness is his submission defense. Five of his total seven losses have been by submission, which is to the benefit of Diaz. Gomi is 3-4 (1-2 in UFC) over his last 7 fights, and needs a win to remain viable in the UFC Lightweight division. He will probably try to stay outside and out box his opponent for three rounds and win by decision. 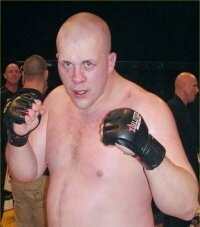 Ben Rothwell began MMA fighting in 1999 at age 17. He is a kickboxer and wrestler, and working to improve his skills every day. He has most recently been working on his conditioning, as his stamina has been a problem in past fights. He is a successful striker, and successful with his takedowns. This has allowed him to be very successful with his ground and pound as well. During a three-year span between Sept. 2005 and Sept. 2007, Rothwell racked up 13 wins in a row. His heavy hands have given him 18 wins by knockout, and he has also been successful with 10 submission victories. He is 1-1 in his last two fights in the UFC, and still looking to make a name for himself at this elite level. Defensively is where he really needs to improve. He does not defend the strike well, and has an even bigger problem defending the takedown. He will have a 6″ advantage against his opponent. Look for Rothwell to throw some heavy blows and try to get a knockout or drop his opponent. If he gets his opponent on the ground, look for Rothwell to use his ground and pound to finish the fight. This will be his first fight in over a year due to a torn ACL he suffered in his last fight, and he may show a little rust. Mark Hunt started kickboxing at around 21, and is a highly decorated kickboxer. Hunt doesn’t have your typical build for a heavyweight, as he only stands 5’10”. Nonetheless, by 27, he was the 2001 K-1 World Grand Prix Champion. After kickboxing for another couple of years, Hunt began his MMA career fighting in the Pride Fighting Championships. After losing his first fight, he reeled off five wins in a row. Hunt lost his next six fights in a row, including his first UFC fight in 2010 at age 36. He won his most recent UFC fight earlier this year, and is looking to continue his win streak. Hunt is a standup fighter, and is a powerful striker with both his legs and hands. He is not much of a wrestler or grappler. Defensively, he has great striking defense and is excellent at avoiding the takedown. The biggest weakness with Hunt is that he cannot defend the submission. Six of his seven losses have come by submission. He has a strong chin, and needs to get off to a good start against his opponent. Look for Hunt to use his legs to set up his punches. His best opportunity to win would be to look for a knockout with his powerful kicks or punches, fighting inside as much as possible. ~ by Troy Erickson Realtor on September 24, 2011.